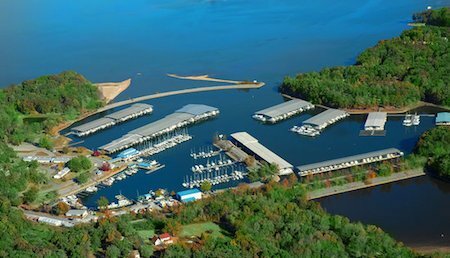 Tortuga Management Co. LLC, owner and operator of Green Turtle Bay Resort on Barkley Lake in Grand Rivers, Kentucky, has announced that it has entered into a non-binding Letter of Intent to sell the business and assets of the resort to Anchor South Investments, LLC of Knoxville, Tennessee. Purchased in 1984 by William E. Gary III, Green Turtle Bay has grown into one of the major marina resorts in central America, providing mooring and storage for some 700 boats, vacation rentals in 87 luxury condos, two restaurants, a health club with indoor pool and spa, yacht brokerage, boat repair and marine retail sales with gross revenues in excess of $8 million annually and providing employment for more than 80 local, full-time employees. Gary said that the time has come in his life for him to turn the reins over to a new company to inject new capital and add new amenities and services into the growing resort. “I am saddened to reach this turning point in my life, but I am delighted to be able to watch the continued growth of our family enterprise under a new owner that has demonstrated the desire and ability to provide an ever more pleasant resort for our thousands of customers and our loyal employees. Anchor South Investments, LLC currently owns and operates several very successful marinas and resorts in Kentucky, Tennessee, North Carolina and Georgia. The principal owners are Mitchell and Alicia Jones of Knoxville. “We are delighted to be working with a family of highly successful management folks with high Christian values and look forward to the days ahead with high expectations for the future” said Gary. A lawyer in Owensboro, Kentucky, Gary purchased the old Port Ken Bar Marina in 1984 and immediately changed the name to Green Turtle Bay Marina. Later that spring the Tullar family opened the existing restaurant facilities under the name of Patti’s on the Pier. 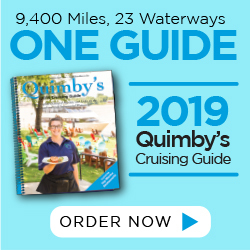 The two new businesses brought an expanded dimension to the boating community on the lakes, as more and more boating enthusiasts discovered the pleasures of boating on Kentucky and Barkley Lakes. Gary was soon joined by his daughter, Vida Gary, and a few years later by his son, William E. Gary IV, who now serve as president and vice president operations of the resort. Their respective spouses, Bill Huffman and Machelle Gary, also are a part of the management team. Gary’s wife, Bette Burruss, served for many years as vice president resort services and continues as a member of the board of directors. If a final agreement is concluded between the parties, it is anticipated that the change of ownership will occur January 1, 2016. The Gary family, along with all of the company employees, will continue in their current positions under the new ownership. Anchor South plans an early expansion of services to include a new fleet of rental houseboats, pontoons and other small craft, as well as expanded yacht sales and other improvements.